With a thirst for adventurous selections oscillating between merciless dystopian aesthetics and moments of sheer beauty, REKA has cultivated her very own personal approach to heady machine music. Featuring everything from contemporary, state-of-the-art techno to the genre's prototypical past of Electro's early days her sets are a highly sensitive affair; maneuvering seamlessly through dance music's many permutations with the same manual control and balance as when riding her motorcycle through the streets of Berlin. Interested in music since a very young age and already collecting vinyls at ten, she became equally infatuated with Science, so it was not until she finished her degree in Genetics that she would pursue her artistic path. Her eagerness for knowledge and deep analysis can be felt through her carefully narrated musical journeys. Only one year into her Dj career, she was discovered by Dj Hell and joined International Deejay Gigolos as part of the female duo leChic, where the critically acclaimed CD-mix "leMix" was released and world wide tour would follow. However, after few years, Reka, who was also selected to participate in Toronto's edition of Red Bull Music Academy, felt the desire to start her solo path considerably darker and closer to experimental realms. It was then, the perfect time to move to Berlin where she would eventually become resident at the legendary club TRESOR. Additionally, she enjoys her role as a curator, either organising her own successful events, W.A.V.E.S, where she has summoned some of her most cherished artists like Silent Servant, Violet Poison, Phase Fatale, Alienata or The Transhumans; or hosting some of the TRESOR's "New Faces" parties, where scouted new talents are invited to perform. 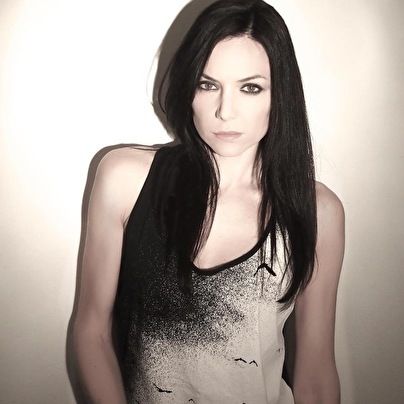 REKA's influences range from Synth, New Wave, Electro, Ebm, Newbeat, Acid, IDM to different shades of Techno, making her a strong versatile DJ performing with power in any given situation. Currently, she furthers her deep understanding of audio through sound design studies which she applies in her own studio environment.